If you are considering purchasing a new sports car, it is very likely that you are going to have your eyes on the Ferrari Spyder at some point. After all, it is one of the best looking cars on the market. It has consistently been crowned the best Cabrio in the 2013 Sport Auto Awards. 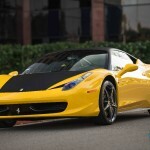 It continues Ferrari’s longstanding tradition of featuring a mid-engine V8 and being convertible. In this article, we will be going over some of the top reasons to get one. 1. Best In Class Roof Opening and Closing Time. This model actually made engineering feats in more ways than just the engine. In fact, the actual convertible aspect is one of the best in class. The roof is well integrated into the design of the vehicle and the double curvature of the roof can effectively increases the aerodynamic efficiency of it. Whereas, most roofs would be stored where the engine sits, they had to come up with a special design for this vehicle because of the engineering obstacles that were presented. The best part about the engineering of this model is that the Spider is able to feature the same amount of rigidity with the top down or up. Another big reason to inve st into a car like this is because it is one of the best looking vehicles in it’s class. While this may be subjective to some, a lot of people will agree that the Ferrari Spyder exotic car is one of the hottest looking cars on the market. Another big reason to opt for a Ferrari is because of the brand name. There are very little brands on the market that have the same kind of perception as Ferrari. 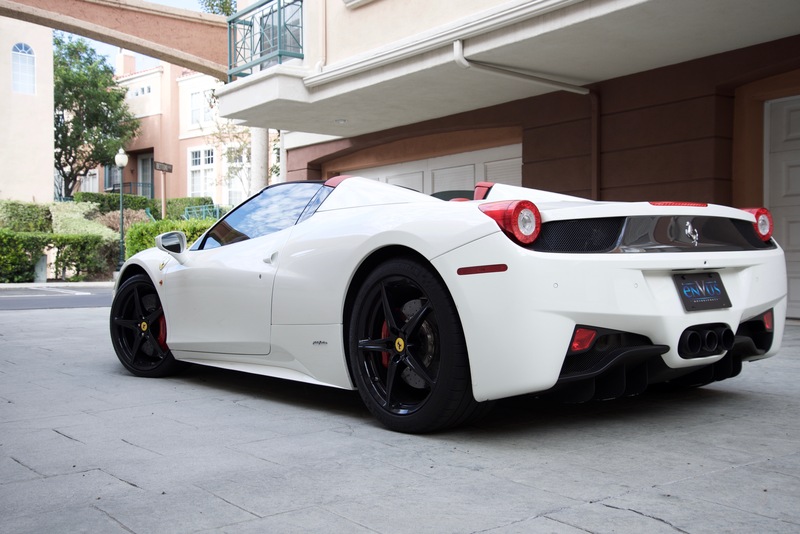 Ferrari’s are consistently perceived to be high class and consisting of immense value. With this being said, if you were to invest in a Ferrari, you would essentially be investing in one of the best and most well known sports/luxury brands in the entire world. This is ultimately going to help make your investment make much more sense and allow you to retain some of the money that you spend on the car. If you want to find and purchase a fast car, you will not be disappointed with Ferrari’s Spyder. This particular car features a 4.5 liter direct injection V8 engine that features a 7 speed dual clutch automated transmission. Unbelievably, it can crank out 562 horsepower which will help it go from zero to 62 miles per hour at just under 3.4 seconds flat. As you can see, there are plenty of different reasons to put your money towards a Ferrari when you are looking to purchase a sport/luxury car. If you want to buy one of the fastest cars on the market, this is going to be one of your top options to consider. It is a good option for anyone for the reasons stated above.